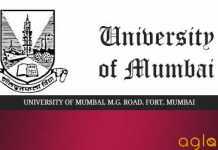 Mumbai University Common Law Entrance Test (MUCLET) 2019 will be conducted for admission Integrated Five Years B.B.A.LL.B. (Hons.) Course to be conducted at University National Law School, Fort Campus & School of Law, Thane Sub Campus. With reference to letter No Reg./ICD/2016-17/86 dated 29 April, 2016 from Department of Higher & Technical Education,Goverment of Maharastra, Candidates who will apply for Mumbai University Common Law Entrance Test(MUCLET) are hereby notified that there is a procedural change in the qualifying exams for admission to Integrated Five Year B.B.A. LL.B.(Hons.) Course conducted by University National Law School (UNLS) situated at Fort Campus and School of Law situated at Thane Sub Campus and the Exam is now routed through the Government Common Enterance Test(Law).Therefore, candidates who have applied for admission directly through MUCLET are advised to take refund of the MUCLET Entrance test fees from the office of University National Law School or School of Law at Thane Sub Campus. University of Mumbai will invite applications in prescribed format for All India Entrance Examination Mumbai University Common Law Entrance Test (MUCLET). The rules of eligibility, total number of seats and other details for these programmes are given below on this page. Candidates who have cleared Senior Secondary School Examination (10+2 System) or HSC or Equivalent Examination with at least 45% marks from Arts, Commerce, Science or any other streams in case of general category and at least 40% of the total marks in case of SC and ST category. Candidates appearing in the above examination in March/April 2019 are also eligible to apply. Note: 85% of total seats will be reserved for Students who are qualified and domicile in the State of Maharashtra (Kindly attach attested copy of Domicile Certificate along with the form). 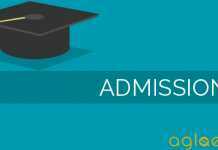 The application form for Mumbai University Common Law Entrance Test (MUCLET) for admissions to Integrated Five Years B.B.A.LL.B.(Hons.) Course will be available online or offline. Students will be able to check it from official website and direct link will be provided here also for your convenience once the University will release official notification regarding the said examination. In case of reserved Category they need to produce copy of requisite Caste, Validity and Non Creamy layer Certificate issued by the Competent Authority along with the application form for claiming exemption under reserved category. Candidate will have to pay the fees before last date. Note: No payment of Fees by Cash / Money Order / Postal Order / Personal Cheques shall be accepted under any circumstances. Candidates will be required to download the form and take a print out on legal size plain paper from the above-mentioned link. If the form will be available students will have to submit its hard copy with fees and necessary documents in the office by last date. The entrance exam shall consist of questions testing English grammar and vocabulary, General Knowledge and Current affairs, Legal Aptitude, Reasoning and basic Mathematics. The entrance exam shall be conducted in English Language only. The detailed list of all Candidates who have applied for entrance exam shall be notified on University Website before the exam. If a Candidate remains absent for whatsoever reasons, under no circumstances no entrance exam shall be reconducted for such Candidates and neither the entrance exam fee shall be refunded. 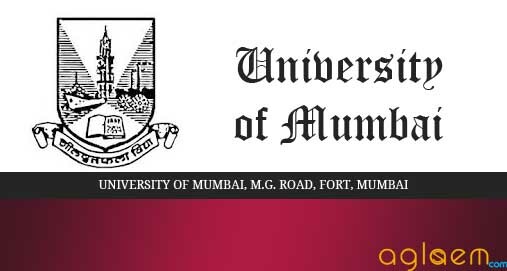 The Admit Card for the MUCLET 2019 wiil be issued by the Mumbai University. The candidates will be able to download the MUCLET 2019 Admit Card from the official website of Mumbai University. For the convenience of the candidates, the direct link to download the MUCLET Admit Card 2019 is provided below. Affix a passport sized photograph in the space provided. Carry the Admit Card to the exam centre as indicated on the Admit Card. There shall be a formal interview of all qualified candidates who have cleared the entrance exam and whose names appear in merit list based on MUCLET scores before the admission process. At any stage if a Candidate is found to have given incorrect information or have broken the rules of the University, then his/her admission is liable to be cancelled. Insofar, official details of Mumbai University 2019 have not been announced. Information on this page is as per year 2016 brochure and for reference purpose only. As soon as Mumbai University releases MUCLET 2018 information brochure, details will be updated here.